Master the art of illusion in Sherri Hill 51660. This alluring sheer gown blossoms with three-dimensional flowers. The halter bodice has a high neckline, and illusion sides, with sheer, tone-matching, modesty panels. Floral straps meet across the lower part of the open back. The sheer mermaid skirt is sprinkled with floral embellishments, and finished with a sweep train. 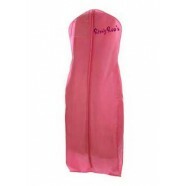 Have a fantastic time in this gown at a prom, pageant, or birthday celebration.